There is a lot going on in school today. With tests, extracurricular activities and other obligations, it is easy to lose focus. Kids need to focus on what is important and weed out the unnecessary. This can be tough to do, especially with a high-achieving student who wants to do it all. Show support for the activities they are involved in but remind them there are only so many hours in the day. Communicate with teachers via email, hand-written notes or in person. Teachers are busy, but they should never be too busy to meet with a parent concerned about the success of a child. Parents can use this time to share valuable information, which may help the teacher to encourage the student more and they may often have helpful suggestions, which will help at home as well. Focus on goals. Goal setting is very important for kids to learn at an early age. Their schoolwork should focus on their individual goals. Many schools now cater the work they give students to focus around these goals. While it is true that parents cannot dictate the curriculum of their child’s school, they can still get involved in what their child is doing in school and try to align this with what the child wants to do as a life career. Study and understand the standardized tests. As much as we hate to admit it, much revolves around this process. Entrance exams will determine whether your child gets into the college they want to attend and other tests will be required in their chosen career. Testing is something your child will face their entire life. Being familiar with what is expected, the state requirements for basic skills and other benchmarks will help you understand how to best help your child. With so much to juggle, kids are often overwhelmed. They must learn to manage their time wisely. Some schools offer time management or study skills classes as electives. If yours does not, perhaps you could ask your PTO to consider this. Aside from that, work on time management at home with your child using a weekly and daily schedule. Implement rewards for a job well done. Use technology. Many schools now exercise a BYOD (bring your own device) policy allowing kids to bring their iPads, tablets and mobile devices to school. This gives parents an opportunity to be more involved in the learning process and to practice skills with technology that will last a lifetime. There is no magic formula for school success. Successful students tend to be kids who are effective time managers, who set realistic goals for themselves and who work hard. We see these attributes in successful business people in the real world as well. By coordinating your efforts with school staff, reinforcing these principles at home and rewarding their efforts, you should start seeing vast improvements in their success. 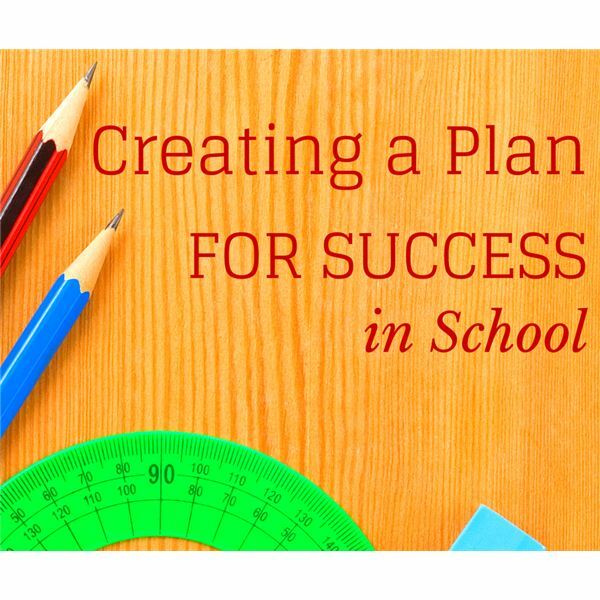 Your school counselor and your child’s teachers or principal may have other ideas on how to help your child succeed.